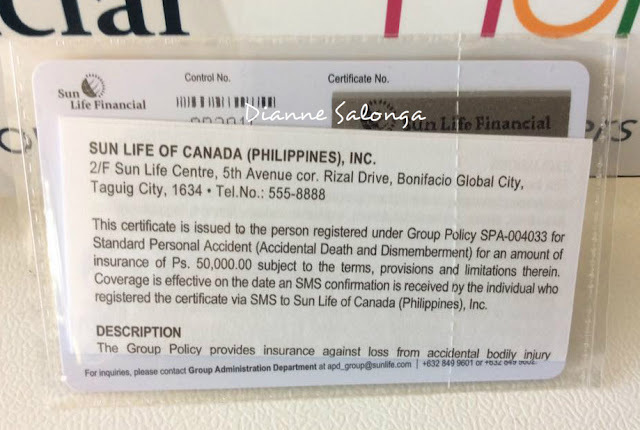 Did you know that you can have an insurance protection worth Php 50,000 against loss from accidental bodily injury for only Php 50.00? Yes, you heard it right! 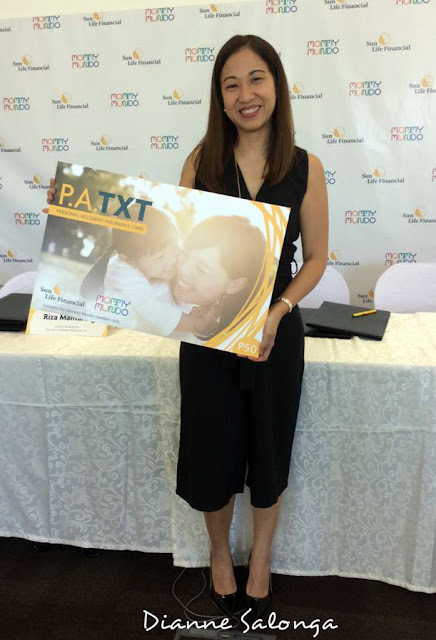 For only Php 50.00, this Sun Life's PA TXT Card will be your easy-access card for personal accident insurance in partnership with Mommy Mundo, Inc., a community of moms dedicated to making motherhood easier, happier and more fulfilling through various activities. This partnership started last Friday, June 30th at the Sun Life Centre at their office at Bonifacio Global City. 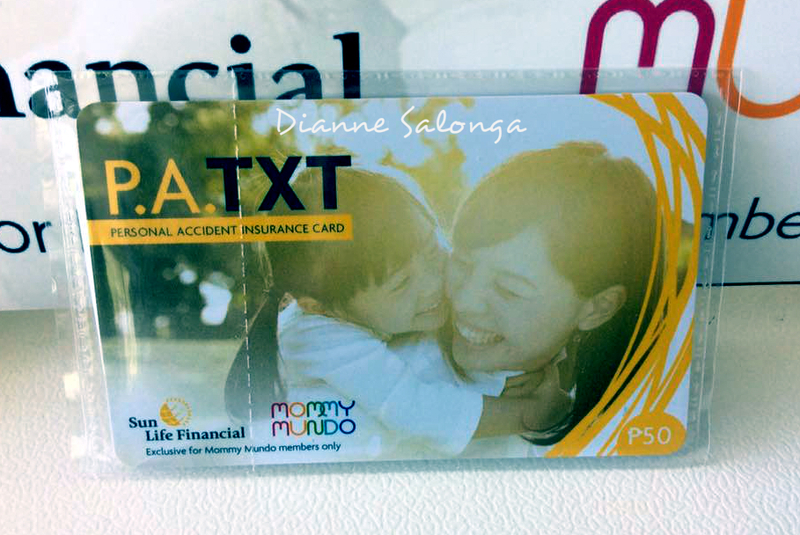 Who can avail this Sun Life's PA TXT Card? 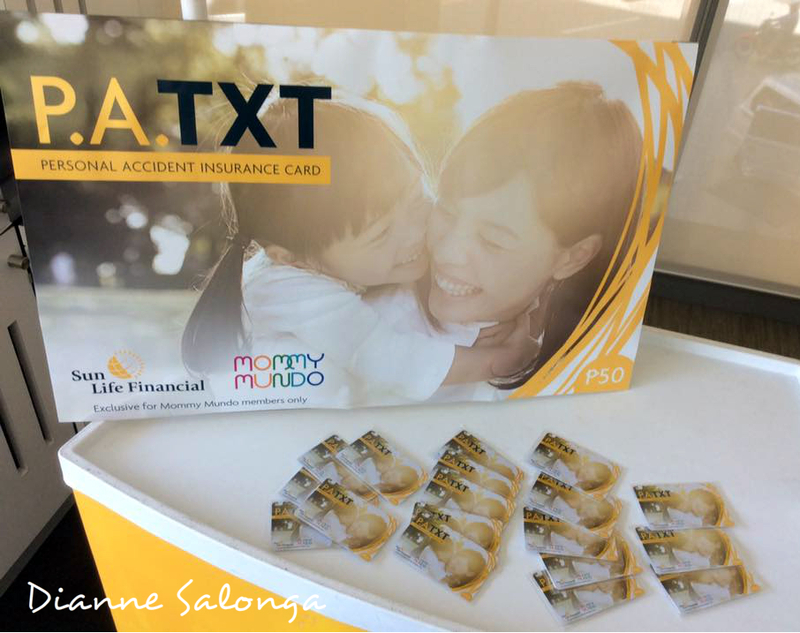 All Mommy Mundo members ages from 18 years old up to 65 years old can avail the Sun Life's PA TXT Card. This card comes in a design especially created for Mommy Mundo members that can be easily activated using a mobile phone. Just scratch the "Certificate No." that is showing at the back of the card. If your going to register and become a Mommy Mundo member, starter kit / welcome kit is included. It provides protection for one (1) year and members can enroll up to two (2) cards for a total coverage of Php 100,000. 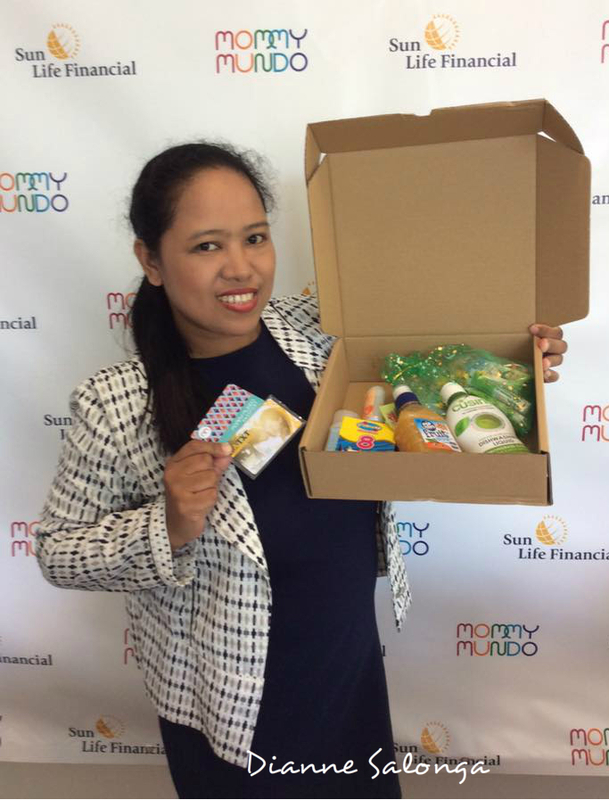 If your not a Mommy Mundo member, you can inquire and register now to avail this card. This is convenient and hassle-free for us to get our personal accident insurance and no complicated application process. You can easily finish registering your card in less than 5 minutes or less (based on how I processed registering my card). Babae lang po ba ang pwede magavail nyan? Yes, exclusive all mommy mundo members only; person ages from 18 years to 65 years old.